Authorities say many of the tablets come from the ancient city of Irisagrig, a Sumerian city whose exact location is uncertain, and date from between 2100 B.C. and 1600 B.C. 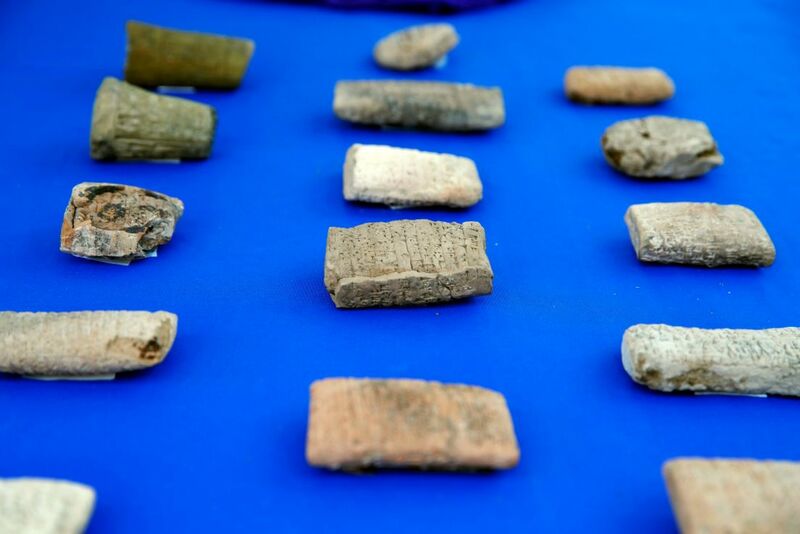 Thousands of ancient clay tablets, seals and other Iraqi archaeological objects that were smuggled into the U.S. and shipped to the head of arts and crafts chain Hobby Lobby were returned to the Iraqi government on Wednesday. The Oklahoma City-based private company, whose devout Christian owners won a 2014 U.S. Supreme Court ruling exempting them from providing certain contraceptive coverage for employees, agreed to pay a $3 million fine last year to settle a lawsuit over the company’s role in the smuggling of the artifacts, which authorities say were looted from the war-torn country. 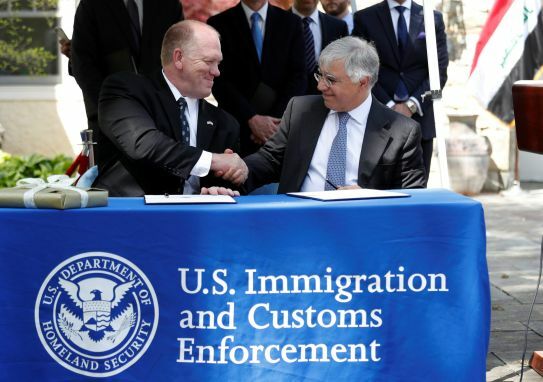 U.S. Immigration and Customs Enforcement officials in Washington handed over the artifacts Wednesday to Iraq’s ambassador to the U.S., Fareed Yasseen. Prosecutors say Steve Green, the president of the $4 billion company, agreed to buy more than 5,500 artifacts in 2010 for $1.6 million in a scheme that involved a number of middlemen and the use of phony or misleading invoices, shipping labels and other paperwork to slip the artifacts past U.S. customs agents. Ancient cuneiform tablets were labeled “ceramic tiles,” and items carried paperwork that said they came from Turkey or Israel. Prosecutors said artifacts were also deliberately undervalued with one shipping label listed 300 clay tiles valued at $1 each when they were actually clay bullae with a combined value of $84,120. 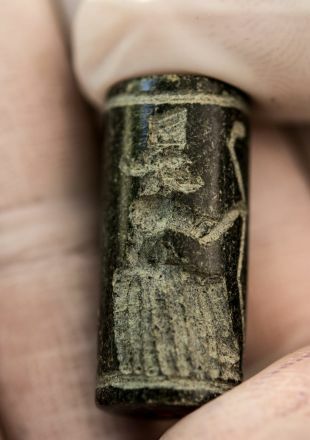 Artifacts were also shipped in small batches to multiple addresses in Oklahoma City to avoid drawing the attention of customs agents, prosecutors said. A dealer based in the United Arab Emirates shipped packages containing artifacts to three different corporate addresses in Oklahoma City. Green financed the $500 million Museum of the Bible that opened in Washington in November. The museum includes pieces from the family’s collection from the Dead Sea Scrolls and bronze gates inscribed with text from the Gutenberg Bible, but museum officials have said none of the artifacts involved in the case were ever part of its collection. The items include cuneiform tablets, cuneiform bricks and clay bullae, which are clay balls imprinted with a seal. 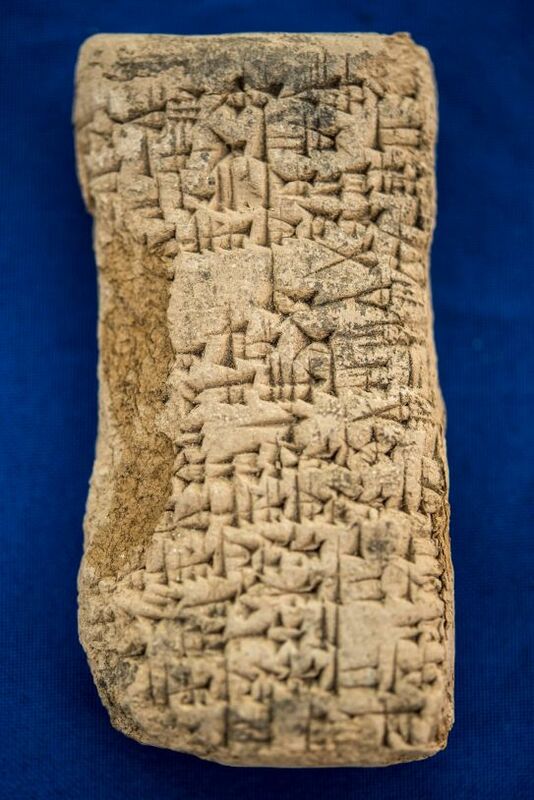 Cuneiform is the wedge-shaped writing used thousands of years ago in Mesopotamia, the “Cradle of Civilization” between the Tigris and Euphrates Rivers in what is now Iraq. 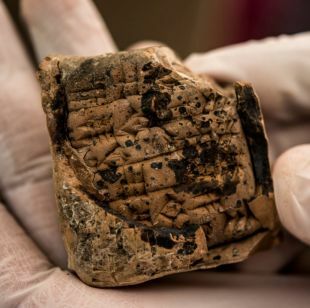 Authorities say many of the tablets come from the ancient city of Irisagrig, a Sumerian city whose exact location is uncertain, and date from between 2100 B.C. and 1600 B.C. The tablets, some from the Old Babylonian period, are mostly legal and administrative documents but also include an important collection of Early Dynastic incantations and a bilingual religious text from the Neo-Babylonian period. Two clay cones are inscribed with royal inscriptions from the mid-third millennium B.C., and clay bullae include artifacts believed to be about 2,000 years old. Prosecutors say Hobby Lobby was warned by its own expert that acquiring antiquities from Iraq carried “considerable risk” because so many of the artifacts in circulation are stolen. But Green, who had been collecting ancient artifacts since 2009, pleaded naiveté in doing business with dealers in the Middle East. The selling of antiquities has become a major source of revenue for terrorist organizations, including Islamic State, and it is vital that collectors ask the right questions to avoid financing terrorism, Murowchick said..
Hobby Lobby did not immediately reply to an email seeking further comment Wednesday.